This recipe is from my review of Gooseberry Patch's 101 Hearty Recipes. It's from the Baked and Buttery section of the cookbook and was submitted by Sandy Glennen from Dandridge, TN. Now what kind of southern girl would I be if I didn't have pecans in my kitchen? An unprepared one - that's for sure. 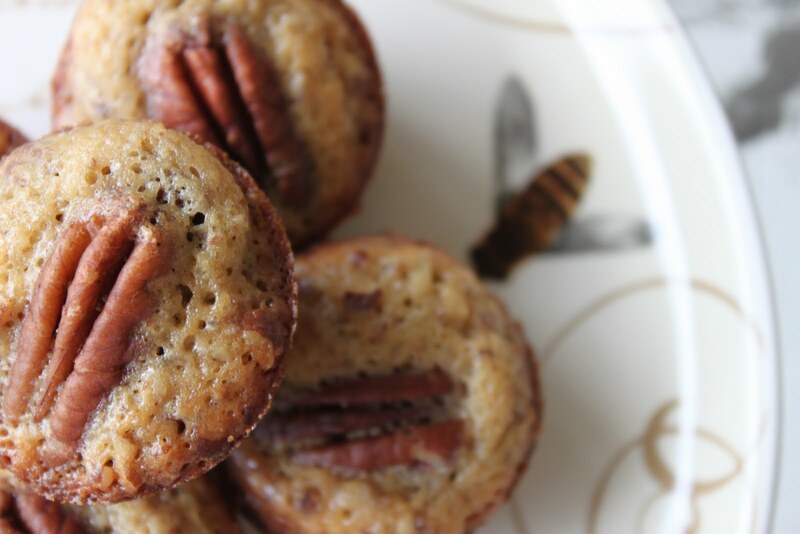 Fortunately, I had pecans﻿ so these muffins came together very quickly. One tip: the batter will be very loose much like the filling of a pecan pie. I would suggest mixing this together in a pourable mixing bowl. 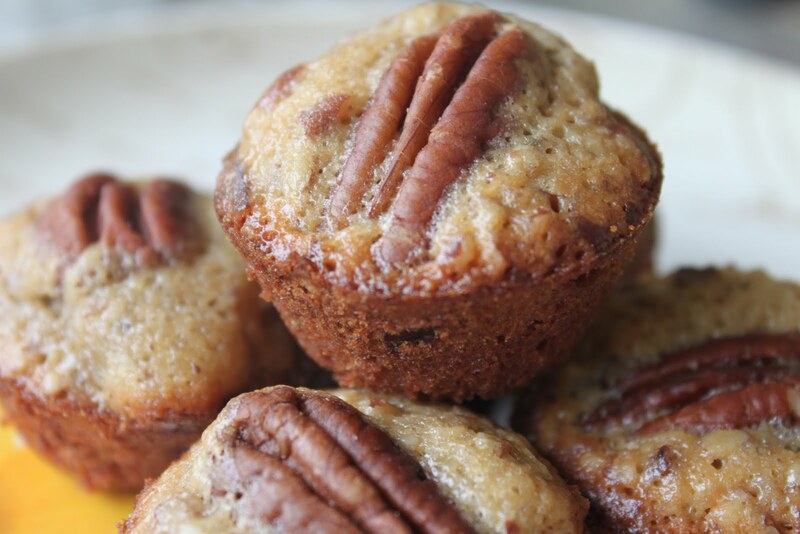 These muffins do taste exactly like pecan pie. Wonderful! I would serve these muffins for both breakfast and dessert. In a bowl, stir together all ingredients except pecan halves. Fill greased mini muffin cups 2/3 full. Top each with a pecan half, if using. Bake at 350 degrees for 12 to 15 minutes, until golden. Makes 2-1/2 to 3 dozen. Join my linky party on Sweet Indulgences Sunday. I make these for my catering, and they're my most requested item! They're so rich and delicious, I decided to call them a cupcake instead of a muffin. Try one with a scoop of vanilla ice cream or some cream cheese buttercream swirled on top. So good. Being from the south, pecan-anything always peaks my interest, as we love our pecans. These look scumptilicious and I can't wait to make them! yummy muffins...enjoying your blog so much! Those do look so good! I do love pecan pie. I'm sure this would be delicious. I love pecans. Thanks for the recipe. I look forward to seeing more. These look so good! I never used to like pecans or pecan pie. I don't know what changed, but I love pecans now!